I have been attracted to sounds as far back as I can remember. As a child I loved inventing musical instruments out of cardboard boxes and rubber bands, and later, my favourite activity was playing whistles and flutes very softly in a secret spot of mine on the rocks by the sea – I enjoyed the sound of the waves and the fresh air. When I was around 12, I wanted to play guitar. I wanted to learn it from a very well-renowned classical guitar teacher in my hometown, but as I only had an acoustic metal-string guitar, he refused to accept me on his course. Somehow I found someone who showed me the basics of guitar playing, from a flamenco perspective – I’m from a town where the word ‘guitar’ is immediately associated with flamenco – which was a very unusual way to start on the kind of guitar that I had. These lessons only lasted a couple of years, even less. Then I just continued on my own. I consider myself an autodidact; I have never had any academic musical training. I think I have always been intuitively led by a deep-seated will which refuses to adjust to existing models, and is determined to find my own ways. Later, I studied cinema at University. I was interested in filmmaking but soon I discovered that I enjoyed much more just watching and listening to films conscientiously - partly due to the collective and, usually, hierarchical nature of a film-making set. I was interested in directors who worked remarkably with sound on their films, such as Ingmar Bergman, who still remains my favourite at this point. During those years I acquired some skills in sound recording and editing, and started to use them to develop my music. I recorded sounds, edited and mixed them. Only later did I learn that the kind of music that I was making at that time had a name, and that it could be called “electroacoustic music”. At some point in my early twenties, I discovered concrete, EA music, with composers such as Eliane Radigue, Luc Ferrari, or Pauline Oliveros. After getting my degree in cinema, I moved to France and studied electroacoustic music composition for a while; but I quit the course after two or three years, when I felt it was enough for me. At that time I also started working less on sound mixing and more on instrumental pieces for guitar and objects. At first they were pieces that I developed out of purely improvisational frames. I was doing mainly solo pieces, but I also worked a lot with Laura Vazquez, who is a French poet and writer, on pieces in the intersection between music and poetry. It’s still very important to me to develop an essential part of my work on my own, but I’ve also started collaborating with other musicians. They were conceived as a set. I spent several months working on them before recording them. When I work, it’s important to me to determine how I will physically employ the elements that I’m going to use. This disposition of the elements was the same for every piece, even if I didn’t use all the elements in all of the pieces. This might not be relevant for the music itself, but it was a means for me to think in terms of the ensemble. So, even if every piece of the album is autonomous, they are thought of in relation to the whole, and the choices that I made for every one of the pieces were determined relative to what I had chosen for the rest. It’s the way I work now. To me, one of the differences between improvisation and composition is how I think about and experience time. Meaning the time within the piece itself, but also the time of my life in which I develop the piece, and how I live through that time. I believe that, as with any other activity, music is very much related to the moment, the stage of one’s life, where it is produced – be it either in a perceptibly evident or in a subtle way. There is a correspondence between one’s life and way of living and the music one makes. And when I’m developing a piece, during the process of composing it and making it, which can last months, weeks, or days, I learn things about myself; there’s a feedback between the developing piece and my own life. And that feedback leads me to make choices. Choices that set up a frame regarding a situation that goes beyond the present time. In that sense, I do find improvisation limiting as a means of music-making, because improvised music is formally circumscribed by one instant. I can still find myself in improvising contexts as a first approach when playing with other musicians for the first time, but it has become rarer and rarer simply because I’m not as interested in it as I was some years ago. I just feel that setting up a frame is an essential condition for developing something that is coherent to me and that, at the same time, transcends me. Even if the frame can be open, it’s still a frame. That’s very interesting. It feels to me that the ‘frame’ you set for yourself in ‘Do Nothing’ is stark and sets quite severe limits within which you have work. Do you find such harsh limits are beneficial to the creative process, or did you experience things differently in the period when you were composing the music? It came very naturally, if I may say. I didn’t feel restricted, even if it is indeed a stark frame. I’m very interested in simplicity as a form. I tend to discard everything that is not necessary to what I’m making. It allows me to concentrate and go deep, and, above all, to listen to the sound and let it exist. The limits that the frame sets concern the materials and the actions that I had chosen for the pieces. But there’s something more which I don’t act on, which is the ‘behaviour’ of the sound once I have done the corresponding action. So the way I see it, setting up rigorous limits can mean a lot of unexpected possibilities and revelations that come from the sound itself. Personally, I would say that those limits are beneficial to the creative process, at least mine, as long as they are of course appropriate to the music that I want to do. I can’t even say that I experience them as limits, but as choices. And to me, making choices is the only way to exercise freedom, even if it might seem paradoxical. Why the title ‘Do Nothing’? This connects to the preceding answer. The main reason I wanted to call the album ‘Do Nothing’, which is also the title of the first piece, is simply because ‘do nothing’ is a kind of personal motto that I arrived at during last year, the year I recorded this music. This idea of ‘Do Nothing’ was very present to me when I was composing the pieces. It’s not that I explicitly wanted to do something based upon the idea, but I knew from the beginning that I would call this work something like this. I didn’t deliberately compose the pieces to respond to this idea, nor did I conceptualise the idea to convert it into some kind of composition parameter. It was just there, and I find - though I don’t know if it is perceptible or not - that it has a resonance in the music on this album. Also I discovered later, when the composition was in a more advanced state, that ‘do nothing’ could refer to the moments where, between two actions, I stay quiet and let the sound live. It’s about what happens in between, and in this case the way I found to make that life come out was by doing nothing. So in the end I could see clearly that this idea of ‘do nothing’ and the music that I made were coherent together, they both came from the same place. “This is the third release I've heard from de Asís, including 'Uno Todo Tres' (Éditions Piednu) and her collaboration with Bruno Duplant, 'L'inertie' (Marginal Frequency) and each has been a delight. “What is ‘nothing’, exactly? Surely it’s impossible to define — for to ascribe qualities to it, to say that it’s like this or like that, is to turn it into a thing, which is precisely what it isn’t. It’s tempting to try to define nothing negatively, by articulating all of the things it’s not; but as such a list is infinite, this too becomes an impossibility. I’m reminded of Daniel Linehan’s dance piece “Not About Everything”, in which he continuously spins on the spot while naming everything the piece isn’t about. He inevitably exhausts himself well before he is able to get to the end of this infinite list, thereby simultaneously revealing the impossibility of a ‘pure’, conceptless dance and opening the dance up to the world. “The Spanish-born composer and guitarist Clara de Asis says that she is from a town where 'guitar' is synonymous with 'flamenco'. In her early teenage years, she had guitar lessons for under two years, then continued on her own; she considers herself an autodidact. 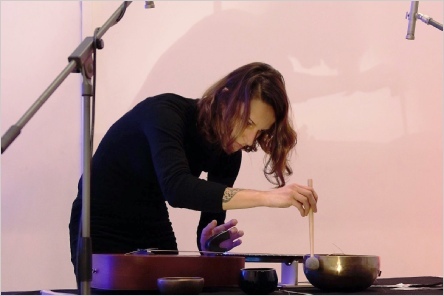 At university she did a cinema degree but, after graduation, moved to France where she studied electroacoustic music composition for a couple of years. 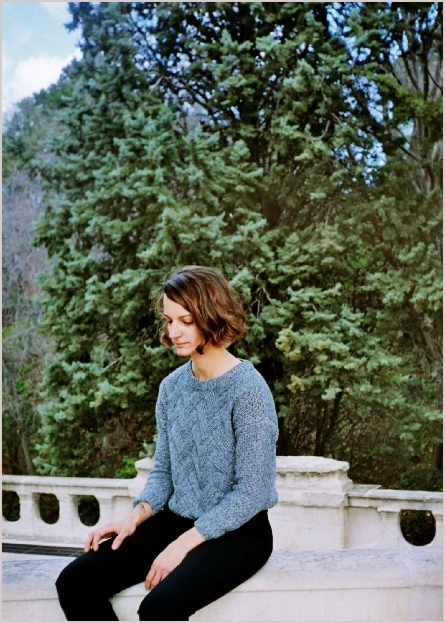 Although de Asis has collaborated on recordings with such luminaries as Noel Akchoté, d'incise, Bruno Duplant and Golem Mecanique, Do Nothing is very much a solo effort, featuring her completely alone, credited with everything from playing guitar and percussion to composition, mixing and even cover photography. 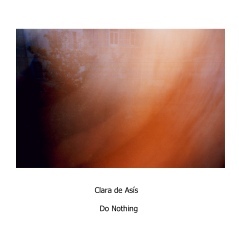 De Asis conceived the album's six pieces as a set, as is indicated by their connected titles — "Do Nothing", "Know Nothing", "Nothing Lasts I", "Say Nothing", "Nothing Lasts II", "Be Nothing" — a list that could have been designed to promote philosophical discussion on the nature of doing, being and nothingness! If the titles suggest a nihilist world-view, that is not reflected in their music which tends to be well conceived and executed, economical and engaging. So the title track, which opens the album and is its longest at twelve-and-a-quarter minutes, begins with a series of single acoustic guitar notes separated by gaps of roughly fifteen seconds, long enough for each note to resound, fade away, be savored and leave the listener anticipating the next one; gradually, the sounds become more complex, firstly with two notes being sounded close together, then three and then with ringing percussive sounds (most probably from a Tibetan bowl) being interjected, until eventually the piece has evolved into an enthralling call-and-response dialogue between guitar and percussion, without any silences. 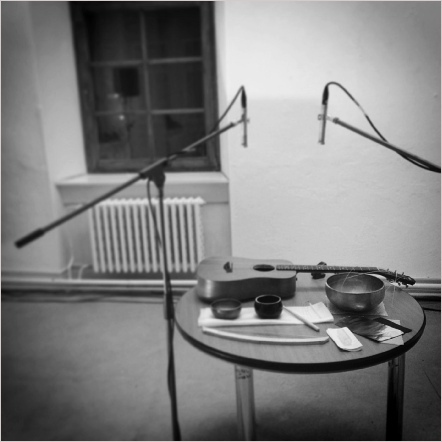 As effective is the ten-minute "Say Nothing" which again pairs guitar and ringing percussion — bowed metal, this time; it is different enough to avoid being a reprise of "Do Nothing" but is recognizably from the same source.